Which dog breeds are more susceptible to Glaucoma? How can CBD Help Dogs With Glaucoma? Is this article suggesting I allow my pet to get high? 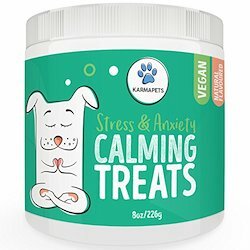 How do I incorporate CBD supplements into my dog’s diet? Just picture this for a second, you can’t see a thing. It’s difficult to even begin to imagine what life would be like without your eyesight. Sadly, for dogs who develop glaucoma, this is an all too familiar story. Nearly half of all dogs suffering from the condition completely lose their eyesight. If you’re a pet owner with a pooch suffering from glaucoma, it’s likely you’ve already come across CBD and the benefits it can have. There are so many stories out there that show the successful use of CBD and so this article will give you some key info around its treatment of glaucoma. We’ll also outline some top CBD pet supplements to help you on your way to a success story for your pet too. Freebie alert! Use this free checklist to assess whether your dog can benefit from CBD and get access to a detailed 35-page report on CBD for dogs. Click here to download. Glaucoma is a disease caused by damage to the eye’s optic nerve. This usually happens when there is a build-up of fluid which then causes an unusual amount of pressure inside the eye, resulting in vision loss. Before learning how glaucoma can affect dogs, it’s important to have a general understanding of how the eye works. Vision is determined not only by the eyes but also by nerves, and of course, the brain. This is the case in both people and animals. When we look at something or someone, light enters our eyes through the cornea. This light is then passed through to the retina, a sensitive layer at the back of the eye. These light rays then travel through tons of nerves, pass on to the optic nerve, and then travel all the way to the brain. The brain then creates a picture, allowing us to see what’s right in front of us. For this process to work correctly, the eye needs to continue its production of a fluid known as aqueous humor. This watery fluid nourishes the front of the eye to protect from the environment. When functioning correctly, the fluid automatically drains from the eye. If aqueous humor doesn’t function correctly, the results can be damaging as the unnecessary build-up creates a pressure known as Intraocular Pressure (IOP). In a normal eye that is producing aqueous humor correctly and then draining it too, pressure should measure between 10 and 20 mmHg (mmHg is a standard way of measuring pressure). With the correct amount of pressure, eyes keep their shape and remain strong. If the pressure is too high there can be significant damage to the eye. Commonly this damage affects the optic nerve which is a vital ingredient in healthy vision. Such damage results in a condition known as glaucoma. In dogs with glaucoma, the pressure inside the eye can reach as much as 30 or 50 mmHg. This increase in pressure is known as chronic ocular hypertension. Primary glaucoma is the most common form of glaucoma in dogs and is generally a result of an inherited abnormality. This abnormality is what leads to a build-up of liquid, as the eye is unable to drain the aqueous humor correctly. 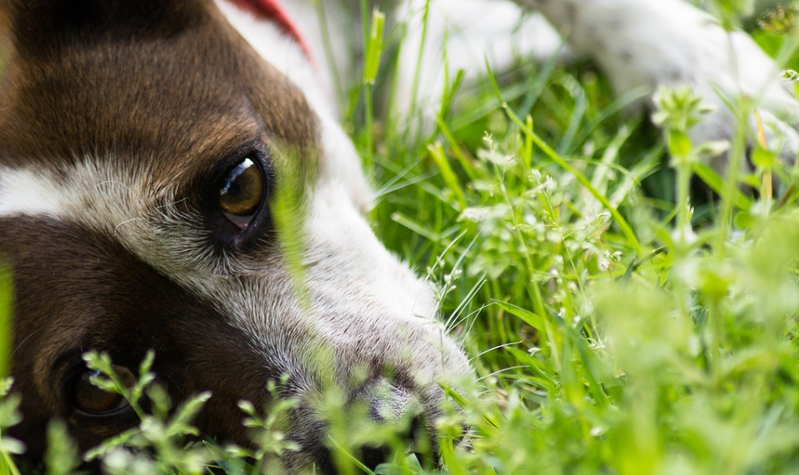 Usually, the first sign of canine glaucoma is a pain in or around the eye. 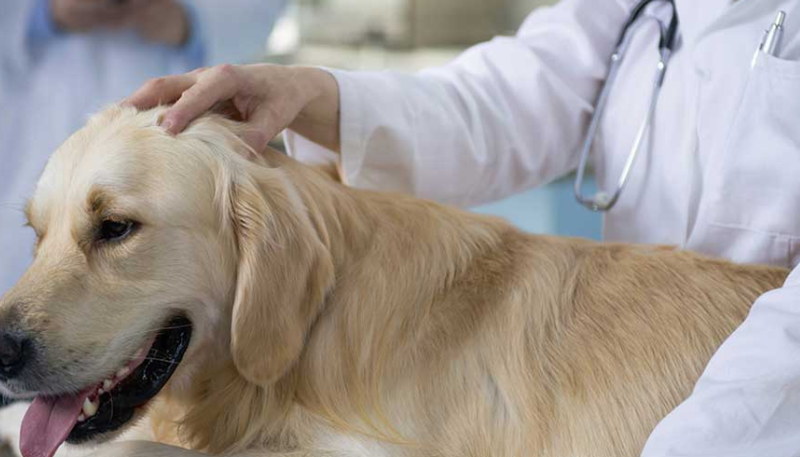 However, it can be really difficult to identify unless pets physically show signs of pain. Often, dogs will avoid any contact with their eye when in pain, whereas humans may rub the area. Sometimes, dogs may push their head against hard objects to try and relieve the pain. However, it can be difficult to identify this as an issue as it can be quite subtle and may seem like your dog simply has an itch. 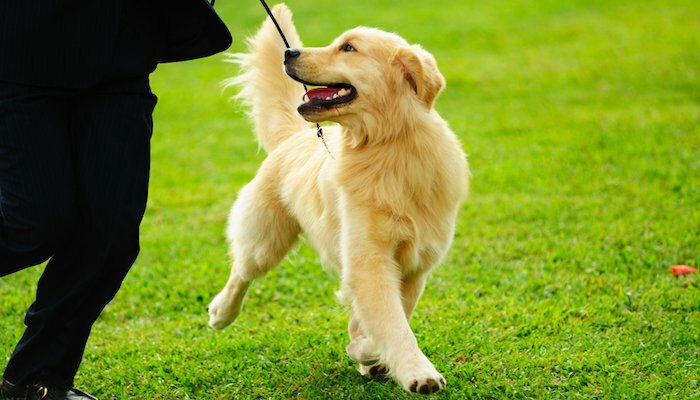 Sometimes, dogs may express that they are unwell by showing no interest in food and engaging in less physical activity. Other symptoms can include discharge from the eye and an enlarged, cloudy looking eyeball. Many pet owners are unaware that they can ask their vet to check their pets’ intraocular pressure. This is one of the best ways to get an early diagnosis, or even prevent glaucoma altogether. It’s even more important to keep a check on your pets’ intraocular pressure if they’ve had any of the conditions mentioned above, such as cancer or tumors, as this means they are more likely to develop glaucoma. Sadly, it is known that certain breeds of dog are much more likely to develop glaucoma than others. So far, across the world, over 40 dog breeds have been affected by the condition and most have been inherited. It’s most likely that dogs will develop glaucoma between ages 3 and 7, however, it can begin at any time in their life. Typically, it doesn’t manifest before age 2 but is still possible. In cases of glaucoma, fast diagnosis and treatment are of the utmost importance. The longer the condition goes unnoticed, the more likelihood there is for long-lasting damage to the eye. Leaving the condition to manifest for too long can even result in the eye physically stretching. In cases like this, it’s likely that dogs have already reached complete and permanent blindness. Early diagnosis is key in vets being able to slow down the onset of glaucoma. They can do this through both surgical and medical treatments. Once diagnosed, vets often focus their initial attention on reducing intraocular pressure as speedily as they can. They normally do so by issuing specialist eye medicine. Sometimes, vets decide its best to make an immediate start on draining the excess fluid from the eye. This is then followed by cyclocryotherapy, a process used to destroy the ciliary body which produces the fluid. By doing all this as soon as possible, and getting started on the right medication, its likely that nerve damage will be delayed, and eye health is prolonged. It’s even possible for this treatment to have such a positive impact that it drastically reduces the effects of glaucoma and can possibly even stop it in its tracks. Unfortunately, this scenario is very rare. More often than not, affected dogs will lose their eye altogether. Sometimes, their eye will be replaced with a prosthetic one, or the gap may be closed. Even though losing an eye can hinder a dog’s abilities, they are often very capable of living a happy and fulfilling life. Often, they’ve already adapted to their reducing vision since developing glaucoma and so can continue life successfully after complete removal. It’s important to note that once glaucoma has developed in one eye there is a strong likelihood that it’ll start in the other eye in the future. Therefore, regular health checks up are key, and it is strongly advised to keep a check on your dog’s intraocular pressure. Hopefully, now you have a good understanding of how glaucoma can affect dogs. Next, let’s talk about the role of CBD in its treatment. It’s likely that you’ve already heard a lot about CBD as it’s a much talked about the subject as an alternative treatment. CBD (cannabidiol) is a molecule of the Cannabis plant and is used for a wide variety of different conditions and illnesses. Research into the use of CBD specifically for glaucoma goes as far back as the 1970’s. This early research identified that Cannabis had the ability to lower intraocular pressure in people suffering from glaucoma. One of the earliest studies from 1971 identified that consuming cannabis could decrease this pressure by as much as 30%. Since then, further studies have shown that cannabinoids like THC and CBD can help protect certain eye cells from glaucoma. Another study published in 1998 showed that cannabis can reduce intraocular pressure in over 60% of glaucoma patients. Despite all this research, many ophthalmologists do not prescribe cannabis as a treatment for glaucoma, even when legally able to. You may be wondering why. You’ll be pleased to know that the answer is, absolutely not! CBD does come from the Cannabis plant however it does not have the same “high” effects as smoking marijuana. The reason marijuana is used as a recreational drug is due to its high content of THC. THC is the psychoactive ingredient found in cannabis. THC does offer its own benefits however high quantities of the chemical can be very detrimental to health. Most supplements available for pets contain little to no THC meaning it will not get them high but will have the desired effect of helping to reduce intraocular pressure. Evidence published in the 1984 Experimental Eye Research study, shows that CBD pet supplements can reduce intraocular pressure in many animals including rats. This research also found that the more CBD took, the greater the results. This suggests that offering appropriate dosages can have long-term benefits for dogs with glaucoma. A lot of pet supplements containing cannabis are produced with hemp extract which contains all the goodness of CBD, CBN, and CBG. This is a beneficial way of adding appropriate forms of cannabis to your dog’s diet as it provides a mix of chemicals rather than just one. It is known that cannabis supplements can help improve a range of conditions in dogs, including cancer, chronic pain, anxiety, epilepsy, and of course glaucoma. 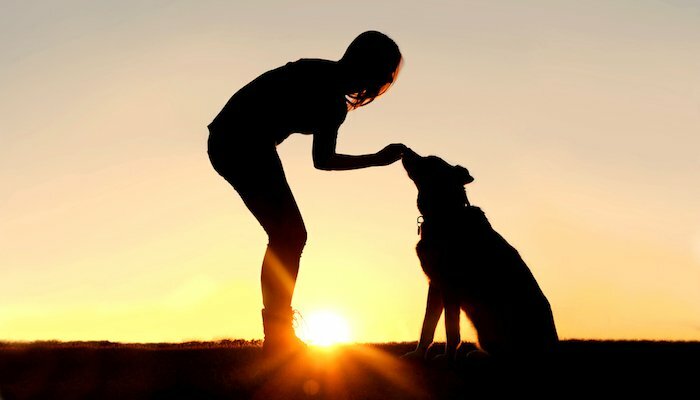 There are a number of ways in which CBD can be incorporated into any dog’s diet, one of which is by administering CBD oil straight into their mouth. Many CBD oil products come with a dropper allowing you to easily dispense the correct dosage into their mouth. Issuing CBD in oil form is known to be one of the most effective methods as the oil is absorbed faster meaning the benefits are seen quicker too. Alternatively, you can either buy ready dosed dog treats or drop the oil on to your dog’s favorite treat yourself. By doing so, your dog may be happier to take the CBD but the effects may take a while longer. For dogs with more complex illnesses, it can be useful to offer a mixture of oil and treats in order to keep their dosages at the right level. Check out this page for more information on issuing CBD. We now know that there is a growing interest in CBD pet supplements, but you may be particularly impressed to hear that the CBD pet market doubled in sales between 2008 and 2014. It’s no wonder the market is growing considering that CBD can be used to treat a range of pet conditions. Here are some real examples of pet owners that have turned to CBD to help treat glaucoma and have seen success in doing so. This is a picture of a beautiful Chow Chow named Sweetness. Sweetness suffers from glaucoma and the condition had progressed so much that it was likely that her eyes would have to be removed. Her owner heard about CBD drops through a friend and immediately tried them as a last resort. After doing so, Chow Chow’s eye pressure is under control meaning the condition is manageable and there are no current requirements to remove her eyes. This is Ayla the Beagle who had extreme joint pain until using CBD. Her owner also has a Shih Tzu named Osita who suffered from a lot of eye pain due to glaucoma. Since using CBD pet supplements, the pain has reduced drastically. These are just a couple of positive stories, click here to view more information from Canna-Pet.com. Hopefully, this article has given you a good understanding of glaucoma, and how CBD can aid pets suffering from this condition. If you think its time to give CBD a try, you may wish to start with a strong oil created specifically for serious conditions like glaucoma. King Kanine is a well-respected brand worth checking out. You can purchase their oil in 3 different strengths (75mg, 150mg, and 300mg). They are considered to be one of the top options for chronic illnesses like glaucoma. 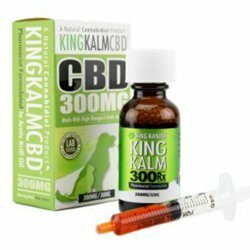 Why not try their King Kalm CBD 300mg Rx. 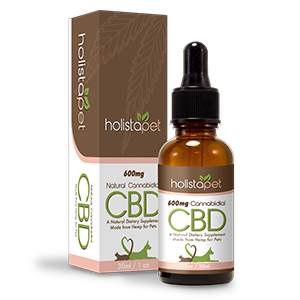 An alternative brand worth checking out is Holistapet as they put a lot of their focus into continual research into pet remedies. They offer a wide range of products for dogs & cats which can help with all sorts of conditions. A good starting option for glaucoma would be their CBD Tincture, as it has a strong dose of CBD. Otherwise, you could try their range of capsules which are easy to hide in a treat or food. Fingers crossed you are now on a journey to improving your dog’s condition and are able to provide some much-needed comfort. We’re sure you’ll see some great results if you follow the advice provided in this article and wish you the very best! Next articleWill My Dog Get “High” from CBD Oils and Cannabis Supplements?